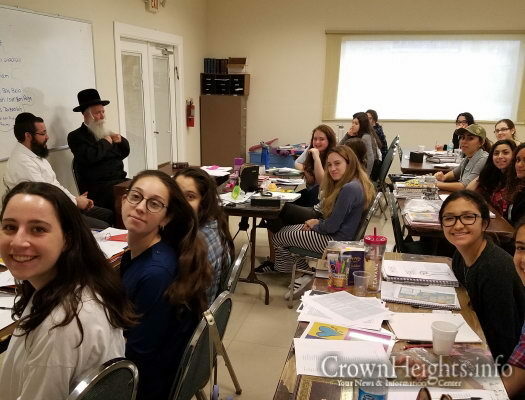 For the second consecutive year, Rabbi Yitzchok Grossman, Chief Rabbi of Migdal HaAmek, visited the Chaya Aydel Seminary (CAS) in Hallandale Beach, Florida. 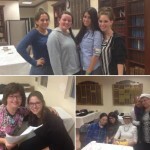 Rabbi Grossman spoke to the young women about the year in Seminary, and how it will impact their lives forever. He also spoke how the woman sets the spiritual tone for the Jewish and Chassidishe home, and that all work of spreading Yiddishkeit and Chassidus is dependent on the Akeres Habayis, the Jewish woman. The women enjoyed the animated talk by Rabbi Grossman. 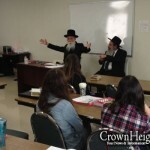 Shluchim present during his talk to the Seminary were Rabbi Yossi Lebovics, Seminary Principal, and Rabbi Mordy Feiner, Director of Adult Education of Chabad of South Broward. 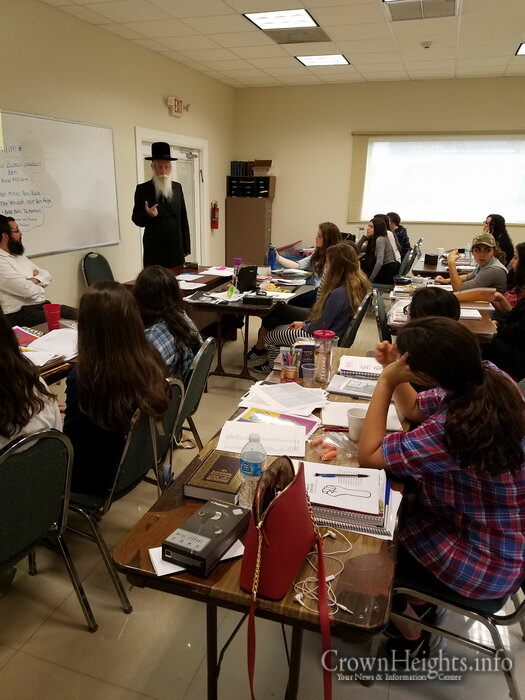 Rabbi Raphael Tennenhaus, head Shliach of South Broward, had earlier been visited by Rabbi Grossman, and asked him to once again address the Seminary. Notwithstanding Rabbi Grossmans’ busy schedule, he graciously gave of his time to relay a critical message for young Jewish women. 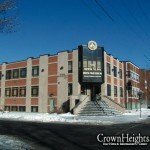 The Chaya Aydel Seminary is now in its 15th year, and has over 350 graduates – with a large number of CAS alumni serving as Shluchim, Rebbitzens, educators and Jewish leaders around the world. 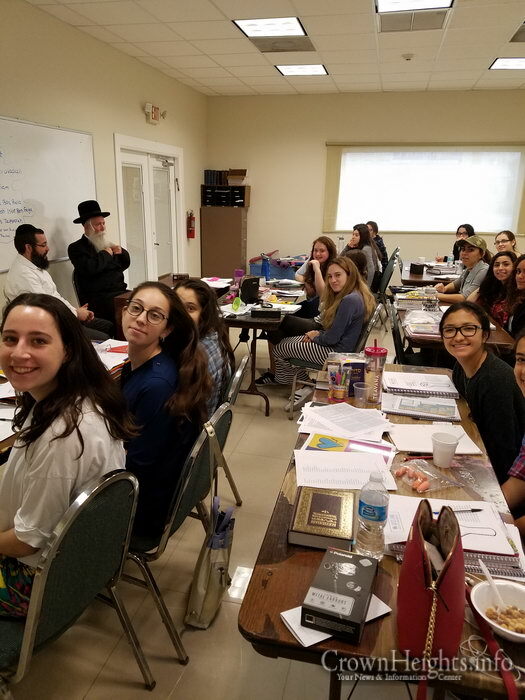 For more information about CAS, please visit the Chaya Aydel Seminary link on Chabadsouthbroward.com, call 954-826-7979 or email Chayaaydelseminary@gmail.com.